Is it just me or when someone announces they’re getting a new puppy, part of me is excited for them.. it’s a puppy! and the ‘sensible, animal welfare, vegetarian’ part of me has a dreaded feeling it might be another puppy farming victim? I personally know of two people who have bought puppies without seeing their mother, thankfully their dogs are ok now, but neither were without illness at the beginning of their lives. I just googled ‘puppy’ (I bloody love google, see my last blog post) and 30 ads are showing pups available in Norwich, I’m sure some really are legit and that’s great, but when one ad in particular uses the word ‘designer’, ‘can deliver nationwide’ and has a hefty price tag, it rings some loud alarm bells to me. I still remember on a work trip to New York a few years ago walking past puppies in the window of a pet store. I couldn’t stop thinking about it as it’s just not something I’ve personally witnessed, but it’s basically the same thing.. just in view of the public. They were so teeny tiny but I couldn’t help thinking how mis-informed the new owners were about the history and welfare of the puppies. The image I took in New York 4 years ago. It annoys me that the little girls looking in the window will grow up thinking this is ok.
(Also, I didn’t go in the store, so I can’t say for certain if this was the case, but this was the impression I got from the outside). So, I’ve googled (obvs) ‘Dogs Trust Snetterton’ and wanted to help a dog find a home. 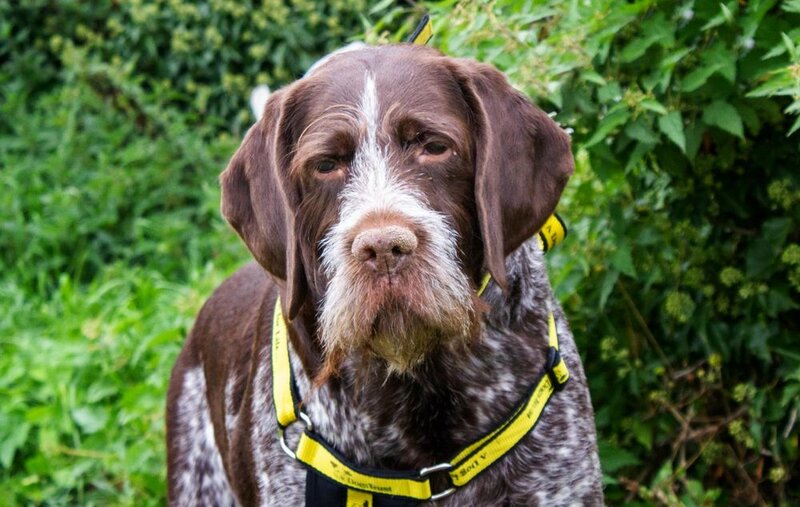 This is Bessie, she is a German Wirehair Pointer who is 8 yrs+, she loves treats and polite canines. Why not offer her a puppicino and a spot in front of the telly? This is Bessie. She’s looking for a home. Also.. unless stated, all views/ opinions are my own.